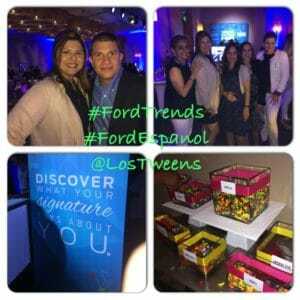 Disclaimer: The Los Tweens & Teens team was invited to experience the Annual Ford Trends Conference. All opinions are certainly our own. 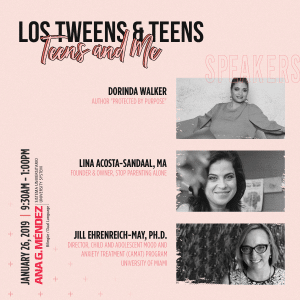 Trends are not always easy to spot, especially for parents that can benefit from knowing the latest trends impacting their tweens and teens ages 7-17. Being trendy means staying ahead of the curve and thinking about how your actions impact the future. 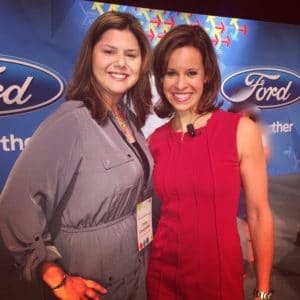 What I enjoyed most about attending the 2014 Ford Trends Conference in Dearborn was how it made me think about the future. What does it look like and specifically- what does the future look like for my family and the initiatives I support? 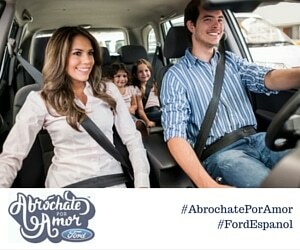 Our amigos at Ford are incorporating future needs into the new 2014 vehicle line-ups- knowing about our future needs now helps build better long-term vehicles. Conference attendees were able to experience trends in vehicles but also listen to a line-up of fabulous speakers.We heard from futurists, entrepreneurs including the famous fashion icon Kenneth Cole himself, NBC Today show host Jenna Wolfe and environmentalists who are helping bring simple drinking water to villages who today do not have reliable sources of purified drinking water. – TECHNOLOGY, technology and more technology! Let’s face it- the cars our tweens and teens will drive are likely to be much more high tech than those of their parents. How are you keeping up with ever-changing technology? – APPs– do you know what apps your kids are accessing online or on their mobile device? We’re getting questions from parents on an ongoing basis about the apps their kids are using or asking about. Be informed and know what they’re using or accessing before it’s too late and they get in trouble. – SAFETY – from online safety to mobile safety to auto safety (who has their number or is accessing your child’s information) – it’s all about keeping our kids safe as more people have easier access to their location. Again, parents have to stay informed. – PHYSICAL DEVELOPMENT– it seems girls and boys are developing sooner than previous generations- are you equipped to help them through it? Are you ready for the questions? And if your child hasn’t fully developed yet, chances are their friends are and as a parent you have to be ready to help them. – MODELING APPROPRIATE BEHAVIOR – if ever there was a time for parents to be sensitive to what their child is seeing them do– it is now. Are you talking while driving? Are you texting while driving? Are you perhaps driving after having just one glass of something alcoholic? Kids are so exposed to various messages now that we have to be sensitive to be modeling the right behavior. Gone is the era of ‘do as I say not as I do’ – they will tell you about it!! F150 Rouge Truck Plant, the largest and trendiest green facility in the US where 1,200 F150 trucks are manufactured daily. We will continue staying ahead of trends so we can bring you the kind of parenting information you need daily. This entry was posted in #Shopping, Ideas and tagged shopping, teens, Trends, Tween. Bookmark the permalink.